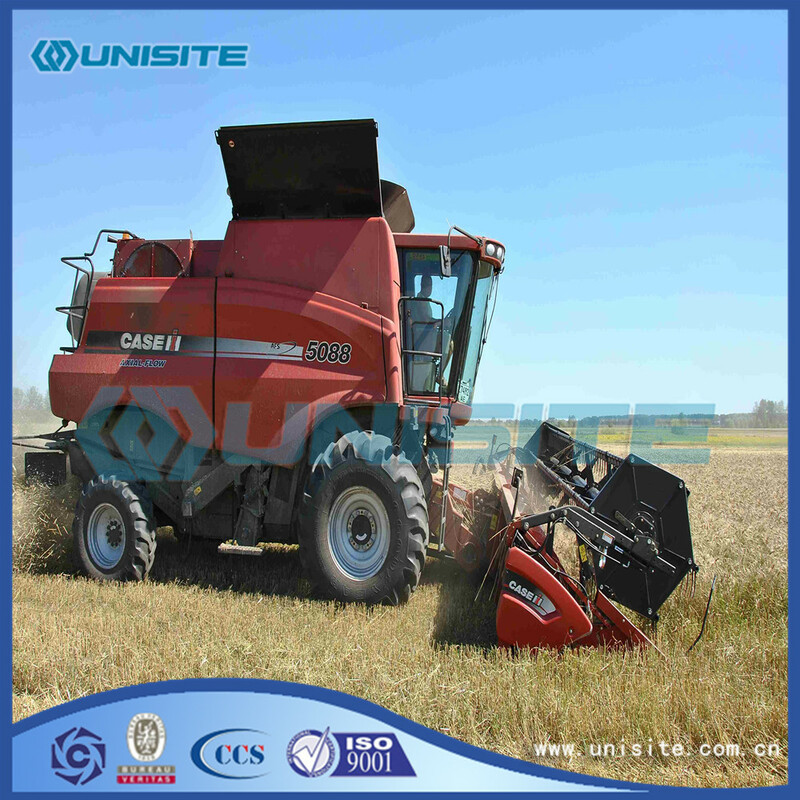 General classification of Agricultural Machinery by use. Most of the machinery which is according to the special requirements of the agricultural characteristics and the operating and specialized design and manufacture, such as soil tillage machinery, plant and machinery and fertilizer, plant protection machinery, crop harvesting machinery, animal husbandry machinery and agricultural products processing machinery etc.. Another part of the agricultural machinery is common to other industries, according to the characteristics and needs of the agricultural direct selection, such as agricultural power machinery, farm irrigation and drainage machinery pumps; or according to the characteristics of the agricultural and need to the mechanical design, an agricultural variant, such as agricultural transport machinery in agricultural vehicles, trailers, and farmland Construction Machinery in the soil and rock excavation machinery etc..
Combines might have taken the harvesting job away from tractors, but tractors still do the majority of work on a modern farm. They are used to push implements-machines that till the ground, plant seed, and perform other tasks. 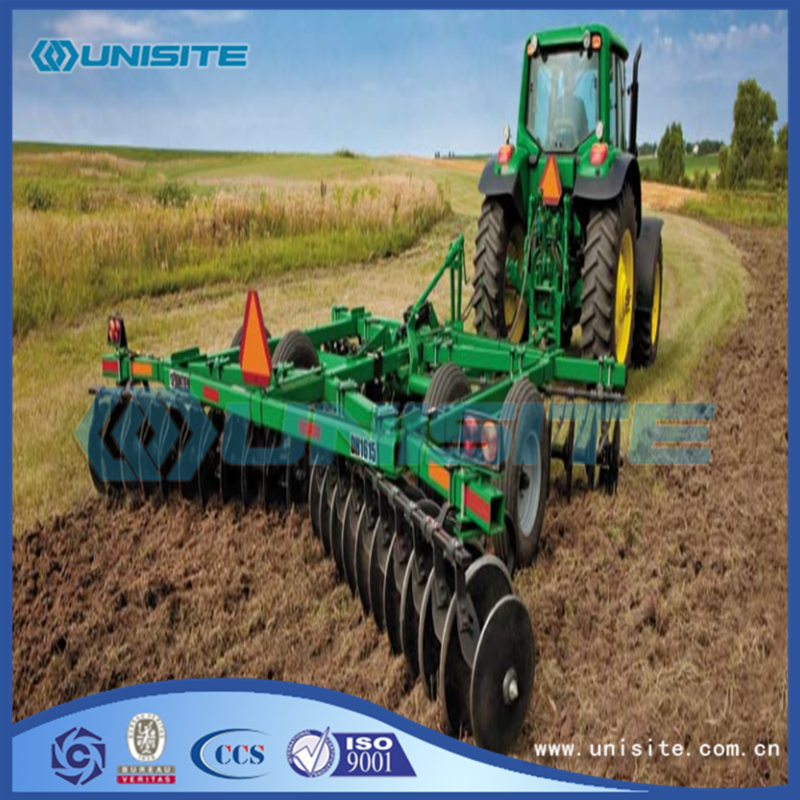 Tillage implements prepare the soil for planting by loosening the soil and killing weeds or competing plants. The best-known is the plow, the ancient implement that was upgraded in 1838 by John Deere. Plows are now used less frequently in the U.S. than formerly, with offset disks used instead to turn over the soil, and chisels used to gain the depth needed to retain moisture. The most common type of seeder is called a planter, and spaces seeds out equally in long rows, which are usually two to three feet apart. Some crops are planted by drills, which put out much more seed in rows less than a foot apart, blanketing the field with crops. Transplanters automate the task of transplanting seedlings to the field. With the widespread use of plastic mulch, plastic mulch layers, transplanters, and seeders lay down long rows of plastic, and plant through them automatically. After planting, other implements can be used to cultivate weeds from between rows, or to spread fertilizer and pesticides. Hay balers can be used to tightly package grass or alfalfa into a storable form for the winter months. Modern irrigation relies on machinery. Engines, pumps and other specialized gear provide water quickly and in high volumes to large areas of land. Similar types of equipment can be used to deliver fertilizers and pesticides. Looking for ideal Agricultural Equipment Parts Manufacturer & supplier ? We have a wide selection at great prices to help you get creative. 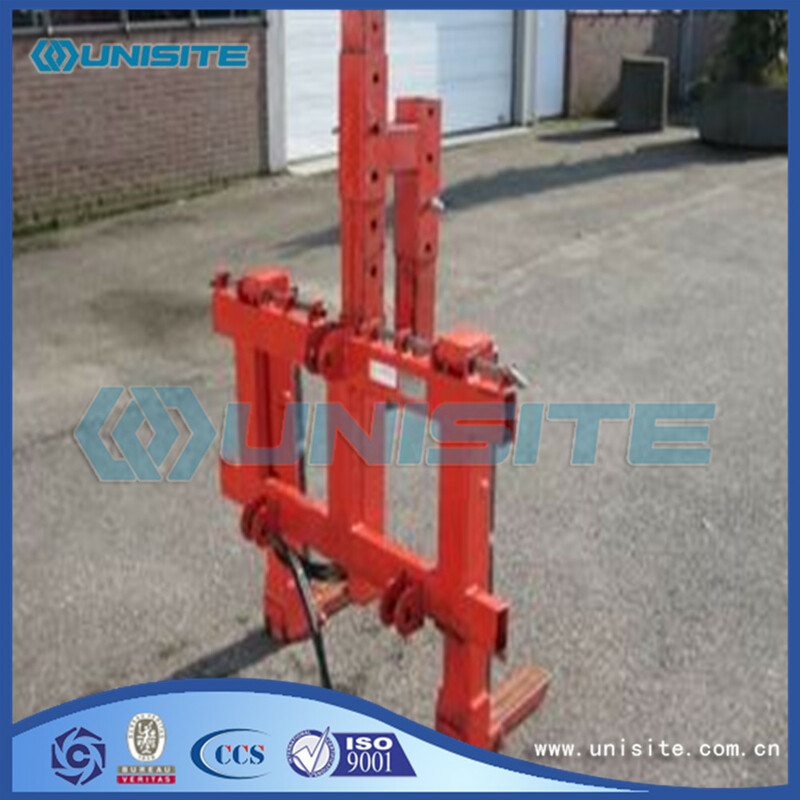 All the Agricultural Equipment Part are quality guaranteed. 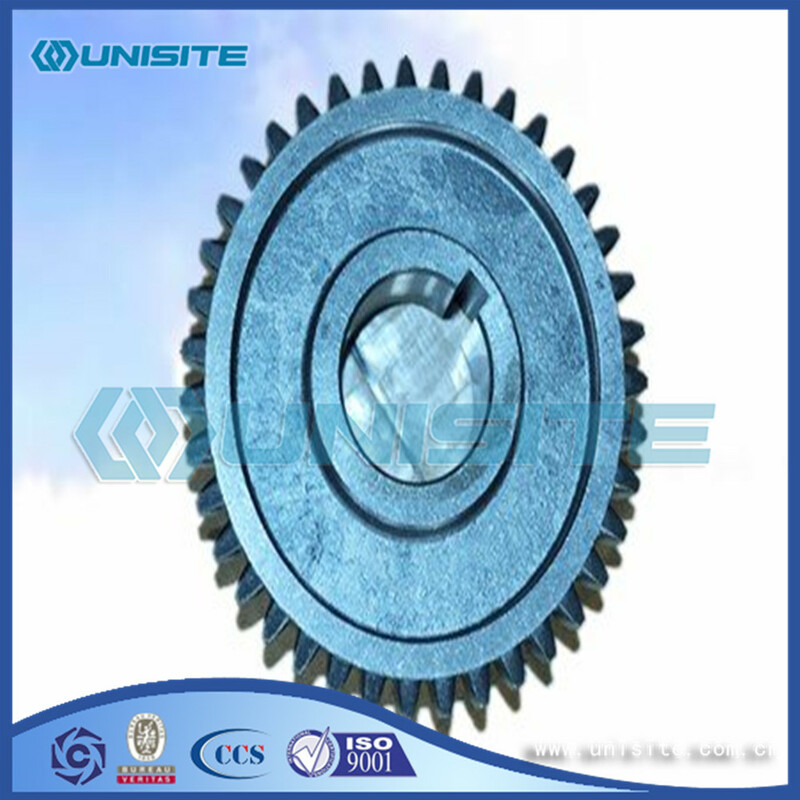 We are China Origin Factory of Agricultural Equipment Parts Price. If you have any question, please feel free to contact us.